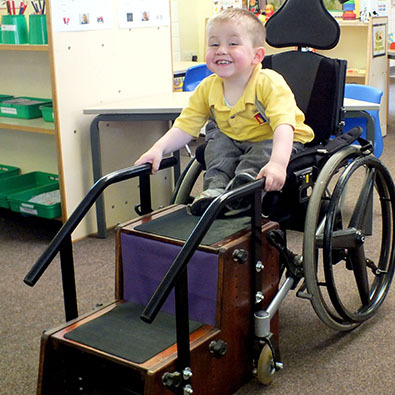 ]Tadius is a confident 6 year old who has been a paraplegic since birth. His DEMAND made-to-measure steps enable him to get in and out of his wheelchair on his own. The ergonomic handrails also help and encourage Tadius to develop the strength in his arms.